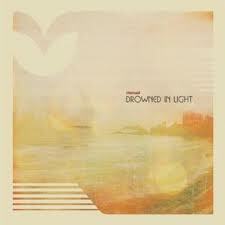 Manual - "Drowned in Light"
Manual is the solo music project from Jonas Munk of Causa Sui. This is his first new record in a few years after having been focusing on Causa Sui for the last 2 years. It is released on vinyl and CD and features 9 floating, rhythmic, hypnotic spacey music tracks. In addition to the beats and lush layers of synthesizers, he plays the occasional delay guitar or acoustic guitar on a few numbers. This is really fantastic music that you can just drift away to and stuff on the B-side is really inspired by Kraftwerk and Tangerine Dream. Lovely album.